I'm so not handy, I had to look up what an ANGlE GRINDER is. 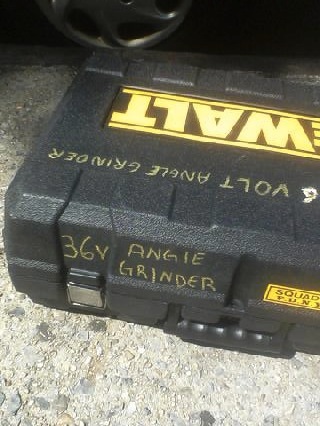 Apparently it is a tool that is used to grind off the angles of uppercase letters, like an L, to make it into a lowercase L, which has no sharp angles, and looks remarkably like an uppercase i. 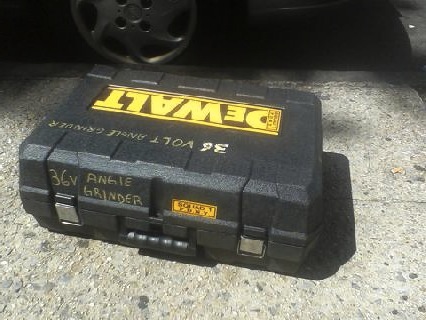 Either that or this toolbox belongs to Angie Grinder, and she left it behind on the sidewalk here in Park Slope..